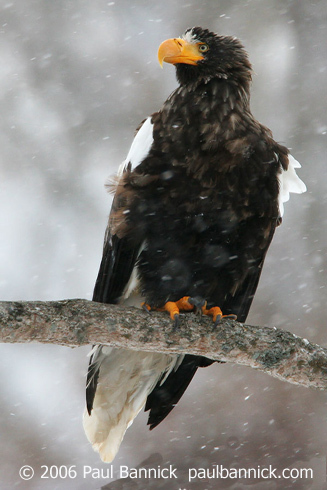 Eagles, jays, eiders - and mammals, too! In July, 1741, Georg Wilhelm Steller set foot on land later known as Alaska, the first European to do so. Steller was a German naturalist on the St. Peter, a Russian ship exploring the Bering Sea. He was shipwrecked on Bering Island for over a year, and later wrote a book about the creatures that lived on the island. Many were ultimately named for this adventurous and feisty German, including this Steller's Sea Eagle, the Steller's Jay, and the Steller's Eider. 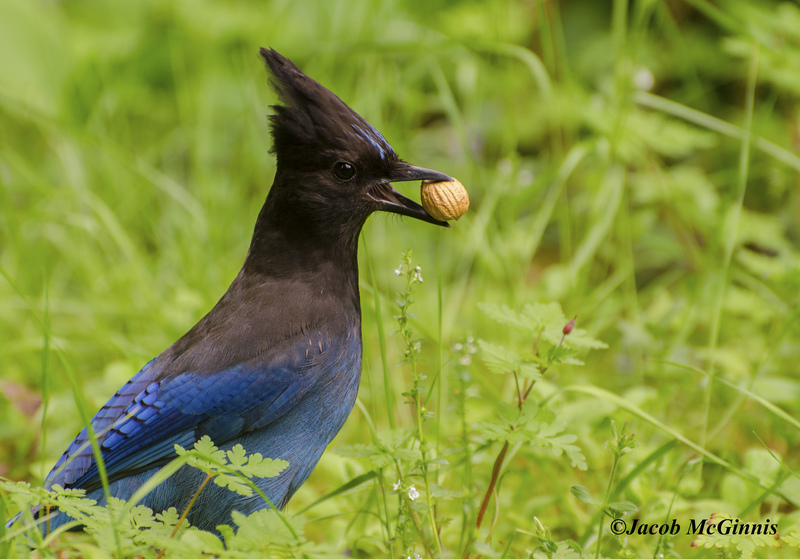 This loud, raucous call belongs to a common jay of the Western states, the Steller’s Jay. You might guess that the word “Steller” describes an exceptional jay, [Steller’s Jay scolding] but Steller, spelled s-t-e-l-l-E-r, comes instead from a man’s name. It was back in July of 1741 that Georg Wilhelm Steller, the first European to set foot on land later known as Alaska, first sighted this jay. Steller was a German naturalist on the St. Peter, a Russian ship exploring the Bering Sea. Shortly after finding and describing this jay, Steller was shipwrecked on Bering Island for over a year. After enduring a harsh winter and rebuilding their boat, the few survivors, including Steller, returned to Russia. Steller wrote a book about the creatures that lived on the island. Many were later named for this adventurous and feisty German, among them the Steller’s Sea Eagle and the Steller’s Eider. 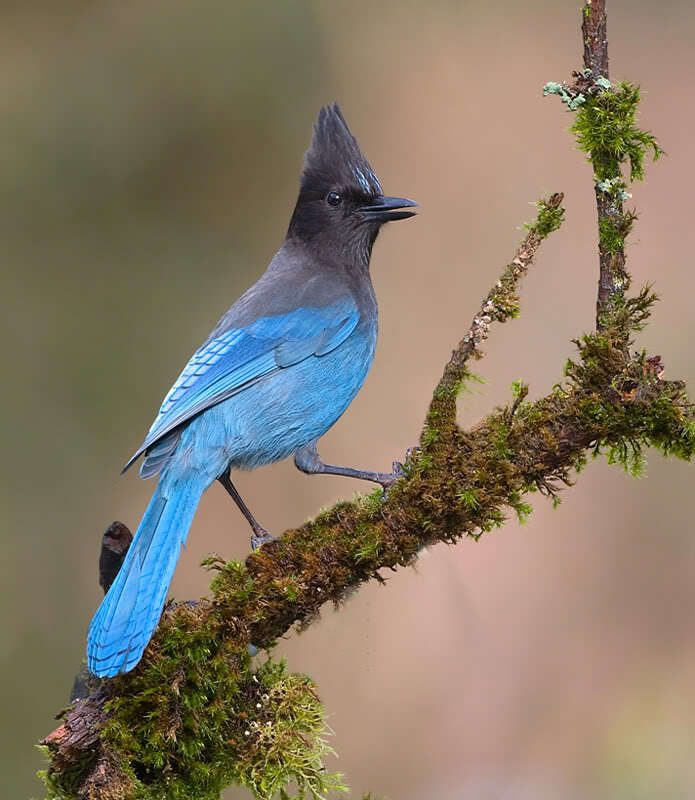 There’s more information about the Steller’s Jay [Steller’s Jay calling] — and all the other birds named for Steller — on our website, BirdNote.org. I’m Mary McCann. 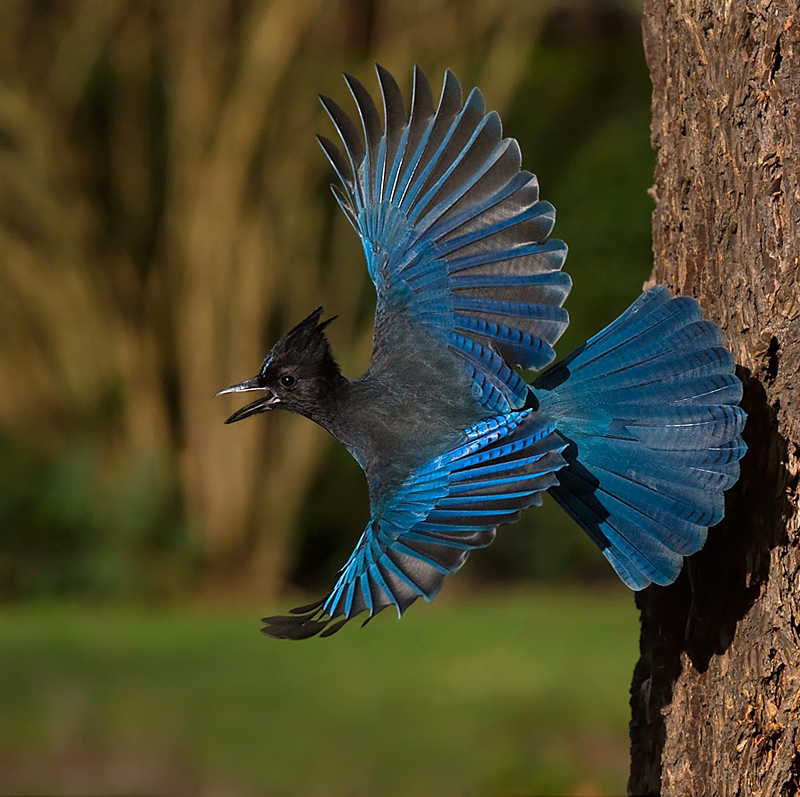 Sounds of the Steller’s Jay provided by The Macaulay Library of Natural Sounds at the Cornell Lab of Ornithology, Ithaca, New York. Call recorded by L.J. Peyton, scold by W.W.H. Gunn.